Getting Australia travel information will be crucial for a great holiday. You’ll be travelling a long way to get here, so your itinerary will need plenty of detail. In fact, there is a lot you may not have thought about. Creating beautiful personalized itineraries is our specialty – so we know how important the details are! So before you get down to the ‘nitty gritty’, consider the basics first: (a) climate (this is a big one – read this blog), (b) what part of Australia you want to visit & how you want to travel – read this blog and (c) the activities you wish to do with your general travel planning (read blog on how best to plan your trip). How on earth do you choose the best accommodation and tour options to suit you? Don’t stress, we live in this part of the world. 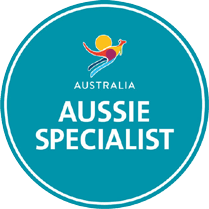 We have all the Australia travel information you’ll need at our fingertips – making those important decisions will be so easy! Guest Australia has real people you can chat with. It’s all about getting the local knowledge – meaningful travel information on all things Australia. So what do you hope to achieve? First of all, take your time to talk it over with us – we’ll give you options to consider then a first draft proposal. You’ll get one-on-one, efficient service. Flexibility is the key so you can make all the changes you need before getting your final beautiful itinerary with every detail imaginable.